In this series of articles we will explore Electronic Voice Phenomenon, or EVP for short, and provide evidence that the skeptical and scientific community is off base claiming that paranormal investigators are simply recording voices from cell phones, radio signals, CB radios, baby monitors, and any other signals floating around in our environment. The evidence you will hear was captured on digital recorders with special microphones. You will not hear any evidence from a ghost box, a ridiculous invention that scans AM and FM radio waves, that many claim contain the voices of the dead. The only thing a ghost box does is to lighten the cash from your wallet. We will have more about this in a future article and why I feel this way. I will use evidence in these articles that I have gathered on paranormal cases since 2004 to the present day. I don’t claim to be an expert on anything, but you will hear the audio evidence embedded in these articles and make your own decisions. It is my hope to reach out to other investigators as well who have come up with similar conclusions by using the same technique as I do in the field of audible phenomena. I was always interested in the paranormal but quite frankly was always and still am a skeptical believer. That’s right, a skeptical believer: an investigator that tries to explain a supposed piece of paranormal evidence before outright believing that it is paranormal in nature. When I was younger, I joined the United States Air Force and was trained as a security policeman. I was stationed in Lakenheath, England as my first duty base. It was there that my interest in the paranormal began as one of my friends was living in a haunted house just off base and I saw some very strange things happen in the home that I could not explain. I was only eighteen at the time but the flame was lit and I was off to researching what I could to try and find some answers. I have been studying parapsychology literature since 1978 plus anything else I could get my hands on about ghostly-type phenomena. I became a UFO investigator for the Arizona MUFON chapter in the mid 1990’s, and was an investigator-in-training during the infamous “Phoenix Lights” UFO incident. I had a passion for UFO study as well as life after death interest. I became the Maricopa County Section Director in charge of investigations for years with MUFON before leaving the field to pursue my interest as a paranormal investigator in life after death studies. It took a while before I found a group that I was comfortable being with. I became a member of Arizona Paranormal Investigations in 2004 and began the study of EVP and how to capture the phenomena in the field. 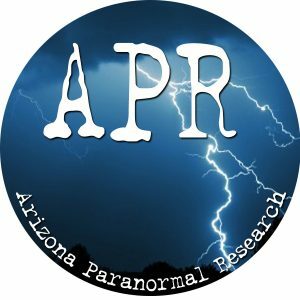 Arizona Paranormal Investigations was the oldest paranormal group in Arizona, mainly investigating businesses and private homes, and was one of the most respected groups because we had both believers and skeptics on the team and weighed both sides carefully and analyzed evidence closely before coming to any conclusions. The group members eventually went their separate ways a few years ago but I kept investigating with other interested people to try and unravel the mystery of EVP. I was involved in some very intense cases in my time with Arizona Paranormal Investigations, but in looking back, we were able to dismiss or explain about 95 percent of all the paranormal claims we received. Those cases that fit into the 5 percent of haunting type activity will be the focal point of these future articles and the audible phenomenon that helped support the haunting scenario. Please note that when I first heard of EVP, I thought the notion of obtaining paranormal voices on audio even though the investigators never heard the sounds or voices at the time was ludicrous. However, my own evidence and technique in capturing audio evidence has changed my mind and now I will share my findings with the public. EVP is key to proving that a haunting exists in a location. But the technique of the investigators must be looked at before EVP can be more widely accepted. The days of running around with one digital recorder hoping to capture that paranormal voice or sound I hope will come to an end someday. I will not go into the complete history about electronic voice phenomenon, but I will give you some important names to research. 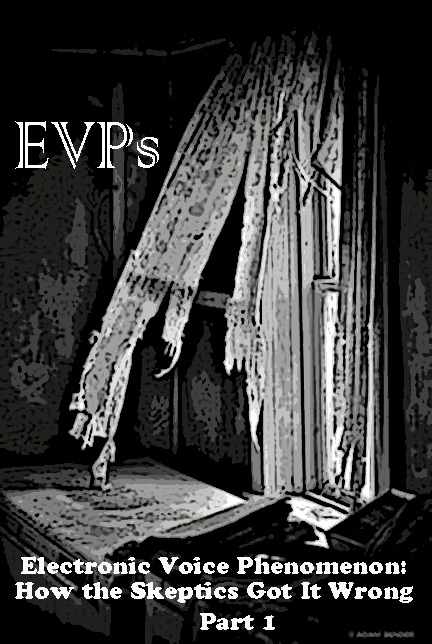 EVP has been around since the first crude phonograph and other recording devices were created. Waldemar Bogoras, an anthropologist who recorded sounds and voices in English and Russian during a ritual involving a Siberian Shaman in 1901. Konstatine Raudive and Friedurich Jurgenson both were instrumental in bringing EVP into the public eye. Jurgenson was recording bird song in his backyard when upon playback, captured human voices on the tape recording. He claimed one of those voices was from his deceased mother. I think the most important researchers were D.Scott Rogo and Raymond Bayless who experimented with a psychic medium while conducting EVP experiments. Rogo’s book, “ An Experience of Phantoms,” is a must read for any EVP enthusiast. You can still grab a copy, if you are lucky, on Amazon. I thank Sharon Day for the opportunity to voice these articles through her web site. I have known Sharon for years now and have been on many investigations with her. It was a couple of years before I realized that using one recorder upon an investigation was fruitless. How could an investigator tell the difference between an EVP and someone talking in a room at the same time? Simply put, controlling your EVP investigation is one of the most important things to do in a paranormal investigation. Environmental Control is important. If you can, make sure all doors and windows are closed on the perimeter of the building. Outside contamination can be captured on recorders inside of a building easily if you don’t check your surroundings. This is vital. Each investigator must be trained in identifying non paranormal sounds or speech during an EVP session. If you hear sounds such as passing planes, or cars, or stomach growls, speak up so that these sounds can be easily identifiable upon evidence review. Train your team not to whisper as many EVP’s can be whispers in origin. Place at least two digital recorders in each room. One can act as a control recorder to pick up other noises and can help dismiss a possible EVP or back it up. For example, you will notice that many EVP’s are only captured on one recorder while other recording devices are present; this might back up the recording as authentic, especially if the EVP is loud and would have had to be captured on the control recorder in the room. However, if you use multiple recorders in a building, you will also pick up an EVP on the multiple recorders present. This is fascinating and I will cover it in the next article. I use digital recorders with Dynamic Omni Directional microphones. I see a direct correlation of clearer EVP capture using these microphones versus other types I have experimented with. I use a digital recorder without a microphone to act as a control recorder in the same area and an Omni directional microphone setup/recorder. Another good thing about Dynamic Omni Directional Microphones is that they are very inexpensive. You don’t need to spend hundreds of dollars to capture these elusive EVP’s. Train your investigators to ask one question every 15 to 20 seconds. Most EVP’s respond to a direct question 4 to 6 seconds after it is asked. Give the phenomena time to respond. If you know historical information about the location you are in, try and get EVP responses to verify that information. Don’t ask the phenomena to make a sound, ask it to make a specific noise or sound. It is better paranormal evidence when it cooperates. When you conduct an EVP session, all investigators should be comfortable and remain seated. Movement sounds can sound like voices on audio such as creaky wooden floors and doors opening and closing. You should lay your recorders down on surfaces and not hold them in your hand. Many investigators unknowingly move their fingers near the microphone of the hand-held recorder causing squelchy noises that many investigators claim are voices. Place at least two recorders in each room of the house, building or any other type of structure if possible. Make sure all bedroom doors are open and talk loudly when asking EVP questions so that your voice reaches the other rooms in the house. Control your environment! 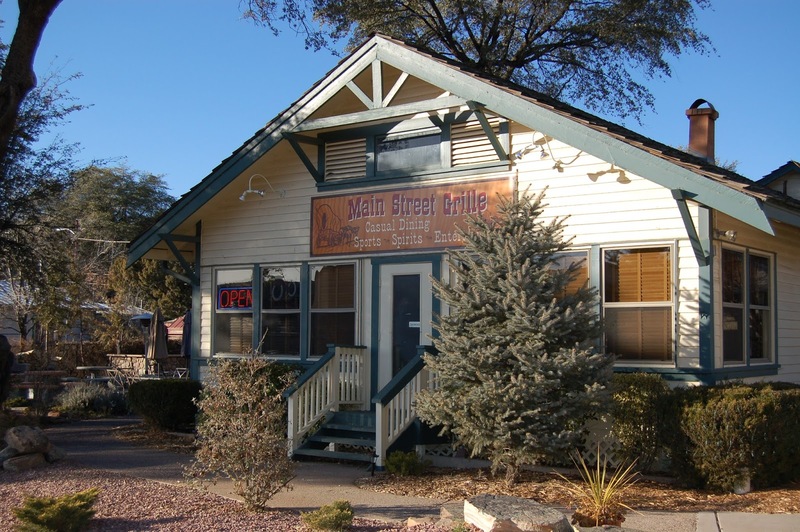 My first important EVP was captured at the Main Street Grille in Payson, Arizona. It is one of the oldest buildings in town and was the location of the first Payson Post Office. It had turned into a restaurant at the time and some people in town claimed that a ghost of a young girl would walk back and forth in front of the window at night and she could be seen by passing cars on Main Street. I placed a full size cassette recorder in that exact location with a boundary microphone attached to the unit. I was with a female investigator turning on all of the recording devices before the investigation started. I had no control recorder in the room at the time since this was early on in my research quest. On the EVP link below, you will hear me comment to the female investigator, “There is nothing scary in here,” as we both walk away after turning the recorder on before the investigation. The other members of our team were on the other side of the restaurant and there was no one else in this room. The last voice you hear on the clip is the EVP (around 19 seconds). Did you hear that? Very loud, but not altogether clear. But most of us in the group heard the female voice say, “Say goodbye” as we both walked out of the room. Why is this so significant? It is commenting on us leaving the room and it is clearly the voice of a female. This backs up the reports that an apparition was seen through the window walking back and forth…. Next Up: EVP is imprinted phenomena and not conventional sound.